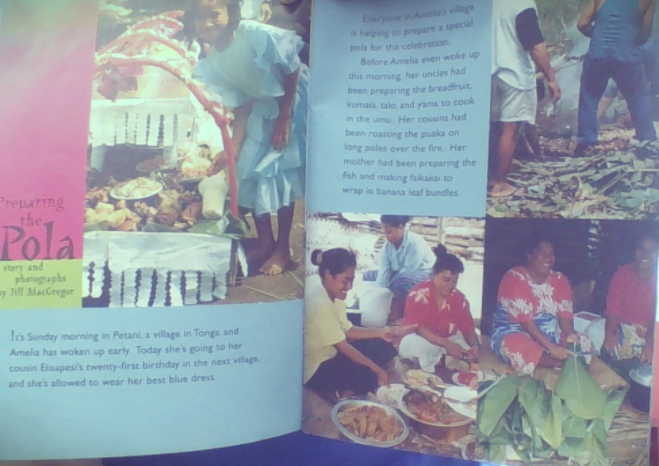 Today I was reading a book about how Tongans get prepared for a pola. The pola was for Amelia's cousin Elisapesi's twenty-first birthday so everyone in the village had to help make food. They all woke up early to get the food prepared. The food they made was faikakai, lu pulu, ota ika, puaka, sapa sui, breadfruit, yams, kumala, talo and other food.